Indigo Airlines Interview – Welcome to all in Aviation Dreamer. You can find out the best Airlines jobs or Aviation Jobs update here, from all over the World. Also, you will get Aviation Interview Tips for your Ground Staff Interview. So, in today’s article, I will update you about Indigo Airlines Interview for Ground Staff in February 2019. Educational Qualification – All the applicant must have clear their graduation from any recognized board or university. If at any stage during or after the employment of the candidate, it is found that the requisite qualification from a recognized board or university determined by Indigo is not fulfilled, then the employment or employment offer of such candidate is withdrawn. Or is withdrawn. Desired Skills – Customer service qualifications, Good communication skills, able to work under pressure, open to working in rotational shifts. If you have Airport Operations Experience it will be preferred. Now Indigo is looking for a local candidate. No visible tattoo marks/body art is allowed for the Indigo Airlines interview. Minimum Agre – 18 years and Maximum Age – 27 years. Interviewed candidates can apply again after three months. 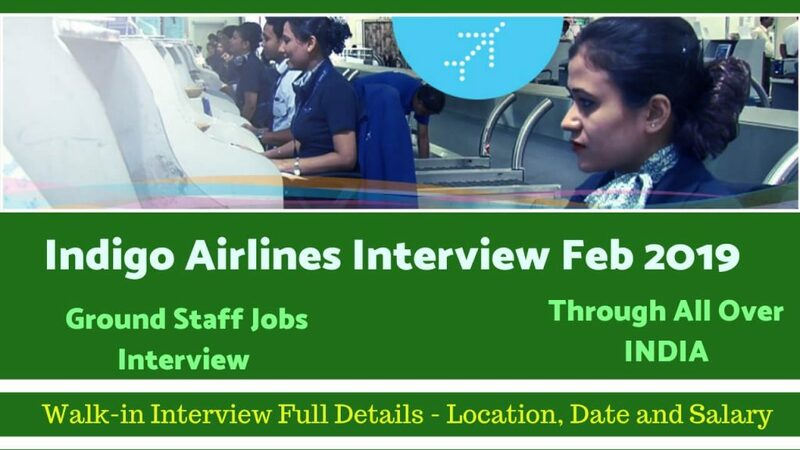 Note – For more information Click Here it will redirect to indigo airlines career page to check all the details. Thank You. If you have any more confusion or you want to ask me anything related to Aviation Jobs. you can comment below. also if you want to massage on the Aviation Dreamer official Facebook Page and YouTube Channel. Thank You Again. I missed November and january interview at Bhubaneswar indigo due to some personal issues now I am ready in my professional career and I am looking for the next interview session at Bhubaneswar. Is there any chance for opening job at Bhubaneswar. I want to attend the next interview at Kolkata. I want to face such kind of interview, don’t I?